The veteran leader had been undergoing treatment at the Lakeshore hospital for various ailments for quite some time. 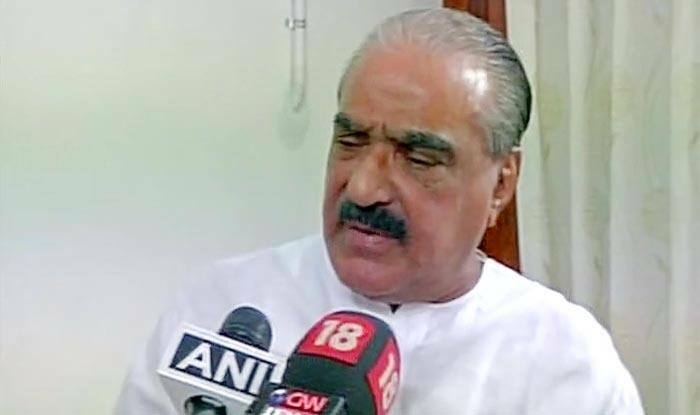 New Delhi: Kerala Congress (M) chairman and former Kerala Finance Minister KM Mani died at the age of 86 in Ernakulam on Tuesday evening. The veteran leader had been undergoing treatment at the Lakeshore hospital for various ailments and had been admitted there for a week. Mani had frequently been hospitalised for chest infections in the recent past. He was being kept under close medical supervision from quite some time. In fact, visitors’ access to him was restricted so as to avoid spreading of further infection. The veteran politician had been leading the Kerala Congress (M) or KC(M) since its inception in 1979 after it split from the Kerala Congress. Mani held several portfolios during his lifetime. He was the Finance Minister four times and the Law Minister seven times. He also held portfolios of revenue, home and irrigation. He had the unique achievement of having presented 13 budgets as the Finance Minister too.